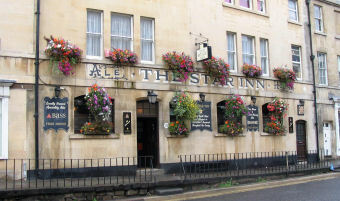 A tip top pub on Camra''s National Inventory,this was the best pub that we visited In Bath. Excellent pub and I have voted this the best of the 8 narrowly beating The Raven to top spot. A proper pub, the four of us came in here around 8pm on Saturday night and it was so good we stayed for 3 rounds. 4 ales on tap and the 3 I had were excellent, I particular enjoyed the Cardinal Sin @ 6% from Abbey Ales. Really good bunch of clients and I particular like the swing saloon style doors to the ladies toilet. Amusing women sat near the Men's toilet that kept falling asleep, this amused me and my pal no end. Fulhampete has it spot on. Always the place I head for when in the town-sorry, city. A real gem. Best pub in Bath. Bass staight out of the barrel and a lovely pint too. Quirky interior and interesting locals. Everything a pub should be, no TV, no piped music, no fruit machines, just chat and good beer. 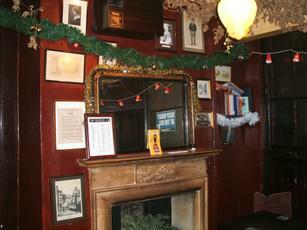 A pleasantly quirky place with several small, wooden-panelled rooms. These include the service area which is called Death Row because of the format with would-be customers sitting in a line. Several good local beers and a friendly atmosphere.